Some children throw tantrums and some never do. I wonder why they are behaving that way. Children throw tantrums as a way of expressing anger and frustration especially if behavior is dealt incorrectly, then the child may learn to use tantrums to manipulate people and to gain attention. When dealing tantrums, it is good to know the ultimate goal, which is to teach the child the acceptable way of expressing his anger. 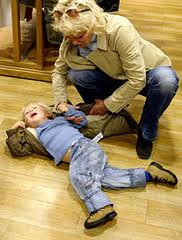 How to survive tantrums of a child? Below are tips in dealing tantrums. 1. Don’t punish the child. 2. Don’t reward the child. 3. Stay calm and ignore the behavior to the extent as possible. 4. Keep the child safe. 5. Isolate the child if possible. 6. Don’t let the disapproval of other people affect your response to the tantrum. When the child throws tantrum at home, calmly carry her to a place where she can be left by herself, such as a crib or playpen. Leave him inside the room and don’t go back until he calms down. When he calms down, talk to him regarding his behavior. If he doesn’t want you to leave the room, you can stay with but don’t respond to the tantrum in any way. Punishing your child for throwing tantrum, example by spanking, yelling makes the tantrum worse in the short term and can only prolongs the behavior. Just give your unending patient and understanding to your child so that you can help him stop the behavior.